Last night, I dreamt I had a side-imaging transducer sewn into a pair of waders. No lie. So important has technology become, and I so dependent on it, I can�t imagine going bass fishing without many modern advancements. I mean, think about it: Do you ever wonder what catches might have been, say, back in the early days of tournament bass fishing, had those competitors been equipped with the technology we have today? In any case, once awake, I pondered how far we�ve come. Sure, there have been a few flops along the way as well as trends that petered out, but much of what we�ve come to rely on is here to stay. > Side-Looking sonar: Okay, we already touched on this one. Personally, I use this technology moreso than traditional 2-D sonar, even here in my shallow-water Florida locale. I can vividly remember hoping � praying � that I would idle over a sweet spot, or a single stump, when looking straight down years ago. Nowadays, I just zoom out a hundred feet to each side and scan infinitely more territory, all the while viewing a practical Picasso of bottom structure. 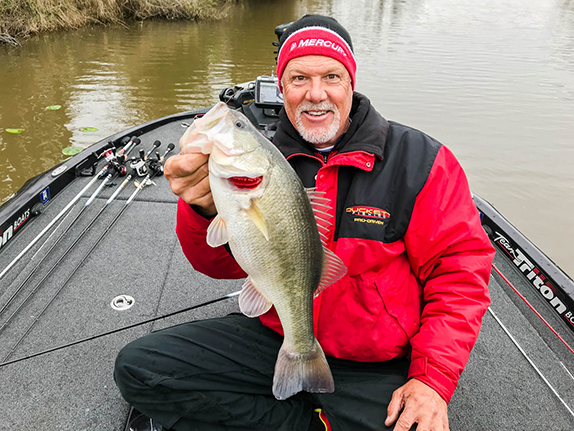 I often ponder what Rick Clunn�s record-breaking spot � where he won the 1984 Bassmaster Classic by 25 pounds � must have looked like on Side-Imaging. > Advanced mapping: This one goes along with our first. The newest cartography chips are so incredibly accurate, anglers can now eliminate miles of structure in just minutes, landing right on "the juice" in no time. How far we�ve come from paper maps or aerial photos of river bottoms prior to impoundment. > Shallow-water anchors: You pick your brand and depth; the important thing is the function. 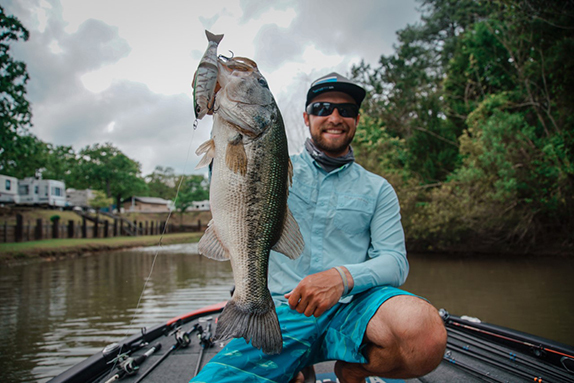 Shallow-water anchors stop an angler immediately, allowing him to repeat a productive cast, or avoid drifting over fish, thus improving presentation dramatically. And, unlike a traditional anchor and rope, with modern models, the boat does not swing around due to changes in the wind. Also, loading and unloading at the ramp is a breeze; believe me, they�re worth the money. > The newest underwater cameras: This is a category that seems to be advancing daily, thus leading me to believe the best is yet to come. Now fully embraced by the ice fishing community � with some competitive ice fishermen now totally replacing sonar with cameras � the underwater viewing world is still catching on with bass junkies. Sure, the application is limited in murky-water environs, but new technology � like daylight visible screens and the ability to broadcast to depthfinders � is making them more user-friendly than ever. I see big things on the horizon here. > Braided line: Yeah, fluorocarbon can be helpful, but nothing has changed fishing line like braid. Whether it�s horsing a monster out of heavy grass or presenting an ultra-light bait without sacrificing strength, numerous applications are now viewed as �braid-mandatory." Looking back at our opening thoughts, I can�t imagine how fishing in Florida, for example, would have been with braid in the 1970s. > Maintenance-free trailer hubs: Strange choice? No way. Anyone who remembers the seemingly impossible task of maintaining wheel bearings within an old-fashioned hub � or still practices the ancient methods today � can relate. With new bass boat trailers, the hub takes care of itself due to advancements in the fluids used to lubricate the interior. Hub systems like �The Vault� perform a thankless job that can�t go without mention. > Electric-steer trolling motors. Now, a few of you will claim I�m partial, as I was on the original development and testing team for Minn Kota�s ground-breaking Ultrex. But I can tell you that, for any open-water application at all, to not have such a unit is a competitive disadvantage. 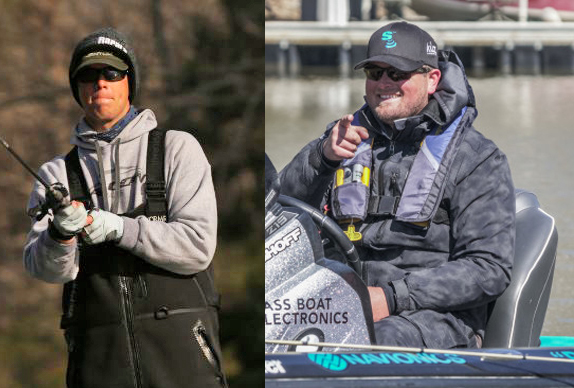 The ability to automatically hold in position by GPS is the bass fisherman�s best friend; other functions like cruise control and auto pilot are mandatory in the crappie and walleye worlds. My dream come true. Now I�m sure I�m leaving a few out that immediately come to your mind; that�s what Feedback�s for. Reels are much better than just a few years ago � and decent models can now be picked up fairly cheap. Rods have come a long way, especially when considering the strength vs. weight factor, credited to new methods of laying graphite. And hooks are stronger than ever, resisting flex even in the smallest models. But I�ll stick with my major picks as the true game-changers. You?